I must have been hiding under a rock all these years, because I’ve only become familiar with icebox cakes this year. I may be a late bloomer to this cool no-bake cake, but I’ve totally been making up for lost time. 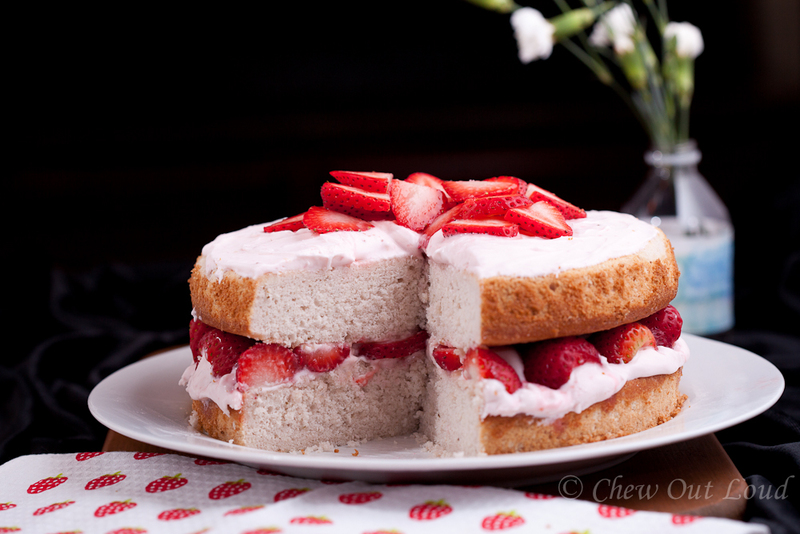 Yes, this yummy cake is absolutely bake-free. The kitchen gets to stay cool for those warm summer days. The time is ripe for sweet strawberries, and we are loving them right now. We just had this delish Fresh Strawberry Cake with Cream Cheese Frosting, and now this. 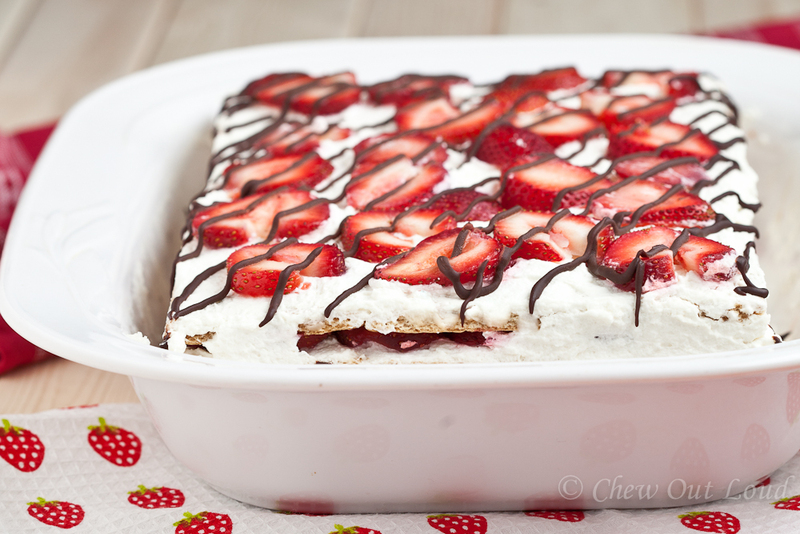 This Strawberry Icebox Cake comes together beautifully, making for an impressive looking dessert for get-togethers. I love how easy this cake is to pull off! Some assembly required. Six ingredients. That’s all it takes to wow your family and friends with this light, refreshing cake that has just the right amount of sweetness to it. Not too sweet nor heavy. Which means you can eat more of it. Yes. 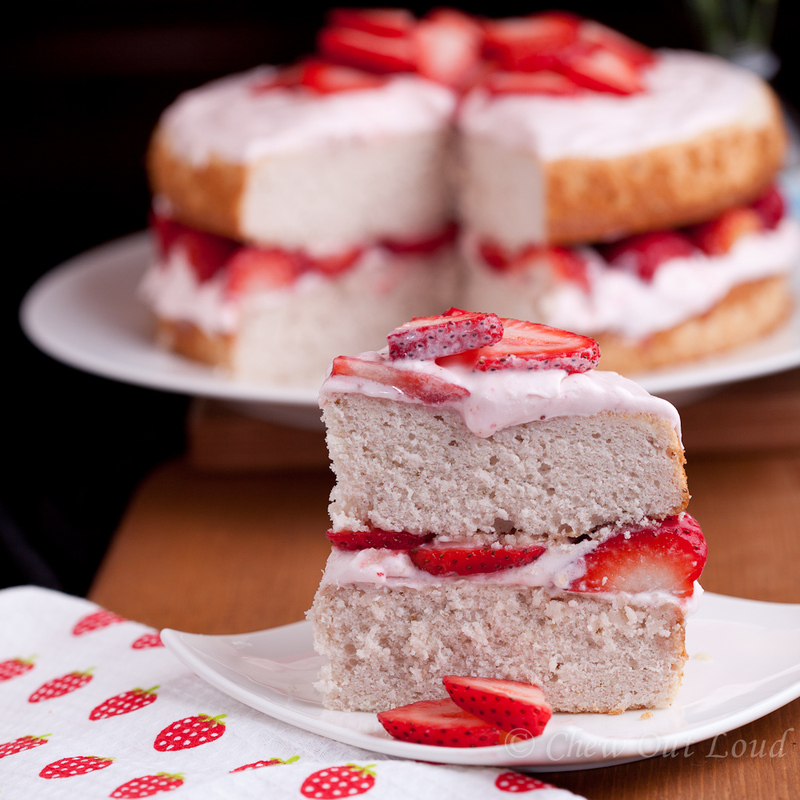 You will totally eat more than just once slice. 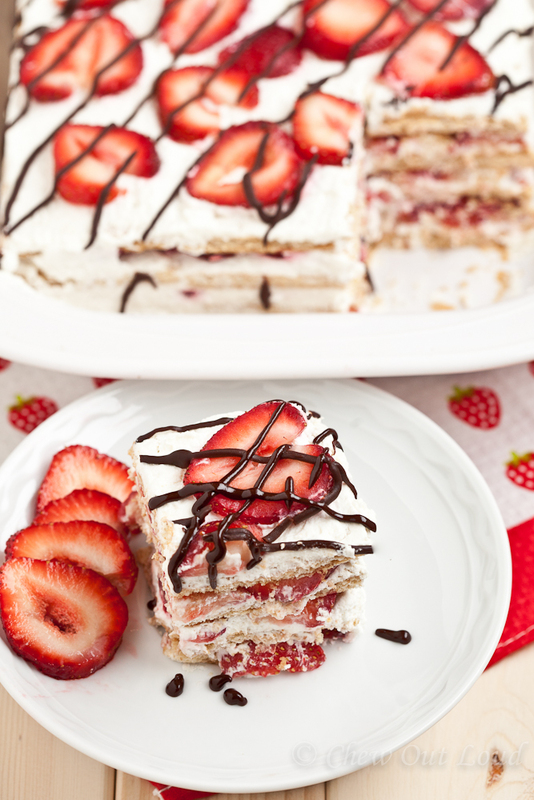 This Strawberry Icebox Cake boasts two pounds of fresh strawberries, freshly whipped cream, and graham crackers that soften into an airy, cake-like texture as it rests overnight in the fridge. That’s another thing. I’m the biggest fan of make-ahead food. If I can make it ahead of time, it’s a done deal. Less fuss on the day of the party is always, always a very good thing. I’m already planning my next icebox cake flavor. Enjoy this while fresh strawberries abound. In a large metal bowl, combine 3 cups heavy whipping cream, powdered sugar, and vanilla extract. Place entire bowl, plus beaters of electric mixer, into fridge for 10 minutes to chill. On medium-high, beat heavy cream mixture until stiff peaks appear. 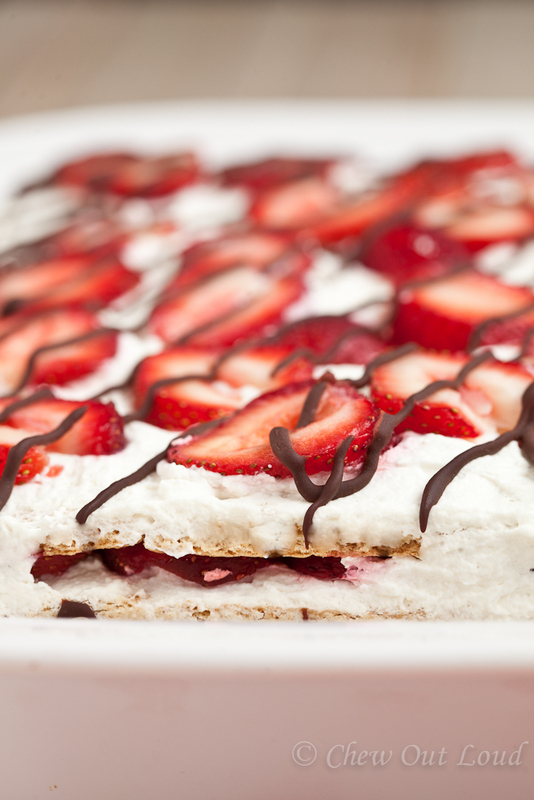 Spread a thin layer of the whipped cream on bottom of a 9×13″ baking pan. Lay six graham crackers down evenly. 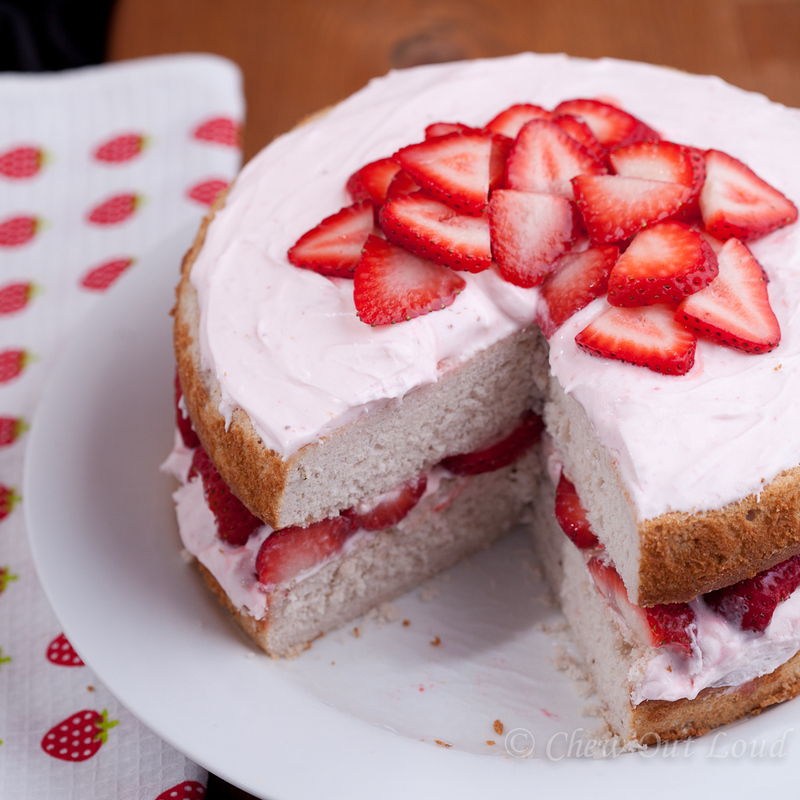 Spread a thin layer of whipped cream over the graham crackers, followed by a single layer of closely-placed strawberries. 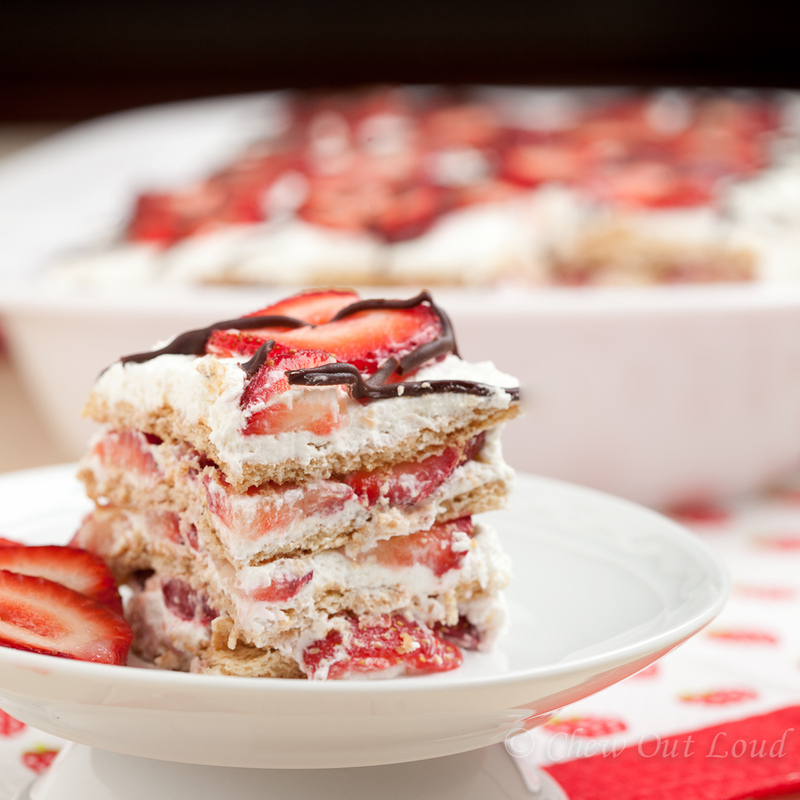 Repeat layers (graham crackers, whipped cream, strawberries) 3 more times. You will have 4 layers total of graham crackers when finished. Spread the remaining whipped cream over the top of entire dessert, and add rest of strawberries for garnish. Cover loosely with tented foil and chill in fridge overnight, for crackers to soften. Keep cold until ready to serve.